As much of what we use on day to day basis is “virtual” there are no real costs associated with these products or services and corporates can afford to give them away at no cost to themselves and look good doing it, either to the public, media or shareholders. Google is a great example of this. As a global giant, Google’s products reach into all our lives in one way or another. Some of these products Google just gives away to nonprofits such as you. You could even be entitled to a $40,000 per month advertising grant! Google Apps can reduce your IT costs and help staff and volunteers work together more effectively. It provides a suite of tools that can replace traditional solutions such as Microsoft Office. As it is entirely cloud based, it removes the necessity for expensive (to both deploy and maintain) internal IT infrastructure. Store documents in the cloud: 30GB of storage across Gmail and Google Drive per user. Visualize your cause and tell your story through Google’s mapping technologies. Host geospatial data online with Maps Engine & publish polished maps to the web. Tell the story of your organization or cause through video on YouTube. Enable the donation module to solicit donations from your viewers right on YouTube. Place Call-to-Action overlays on your videos to let viewers click to visit your website, donate, or learn more about your organization. Have an issue with signing up to the YouTube Nonprofit Program, or with your nonprofit channel? Nonprofit Program members get dedicated email support to make sure technical issues are quickly resolved. Direct your viewers towards your external campaign landing pages via Link Anywhere Cards, a special card type that allows you to link to any external URL. 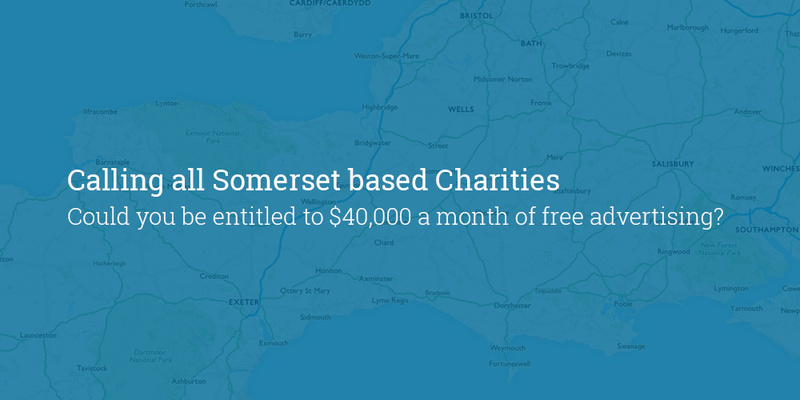 For UK charities this presents a huge opportunity to generate meaningful traffic to your web site. Google Ads currently account for almost half the total advertising spend online. Most charities simply do not have the resources to commit to on-going advertising campaigns and more often rely on ad-hoc campaigns or word of mouth to spread their message. Google Ad Grants allow you to spend up to $10,000 a month (of Google’s money!) on direct advertising within the Google search network. Even the average SME would be hard pushed to be able to afford $120,000 (£75k) a year on advertising on-line. What’s more, its ongoing, not time limited! To add to this program Google have now started a new initiative, Grantspro. The Grantspro program offers eligible Ad Grantees an increased budget cap of $40,000 per month instead of the standard $10,000 per month. In this program, your daily budget of free advertising spend may be up to $1,315 (£800). Yes… £800 per day! For the last two years we have been helping charities such as yours, apply for, set up and manage these advertising grants. One of the charities we have helped is The Young People’s Trust for the Environment (www.ypte.org.uk) based in Yeovil. The Young People’s Trust for the Environment is a small charity employing only a handful of staff at its Yeovil offices. Originally founded in 1982, it aims to encourage young people’s understanding of the environment and of the need for sustainability. They try to give young people a real awareness of environmental problems, such as climate change, disappearing wildlife, the pollution of soil, air and water, the destruction of rainforests and wetlands, the spread of desert regions and the misuse of the oceans. All their materials aim to provide balanced views to take into account the realities of the modern world. Through free factsheets, lesson plans, downloads, videos and school talks their web site is the hub of their activity. As a Google partner, we helped YPTE apply for their nonprofit status with Google and subsequently successfully applied for a Google Ad Grant on their behalf. We began their advertising campaign in October 2014. Since then we have managed their campaigns with huge success reaching almost 6 million people and bringing an additional 70,000 visitors to their web site. This advertising would have cost the charity over £50,000 if it were not for the grant. We are currently working with Google and The Young People’s Trust for the Environment to extend this enrolment into the new Grantspro program – if successful this could generate an additional 250,000 website visitors per year! Ziontech Solutions Ltd are a full service web development and internet marketing agency based in Yeovil, Somerset. We have been working with commercial enterprises and nonprofits alike since 1996. If you are a UK based charity and want to increase your Internet footprint either locally, nationally or internationally we would love to talk to you. Please feel free to give us a call or drop us an email… or even call in for a chat.